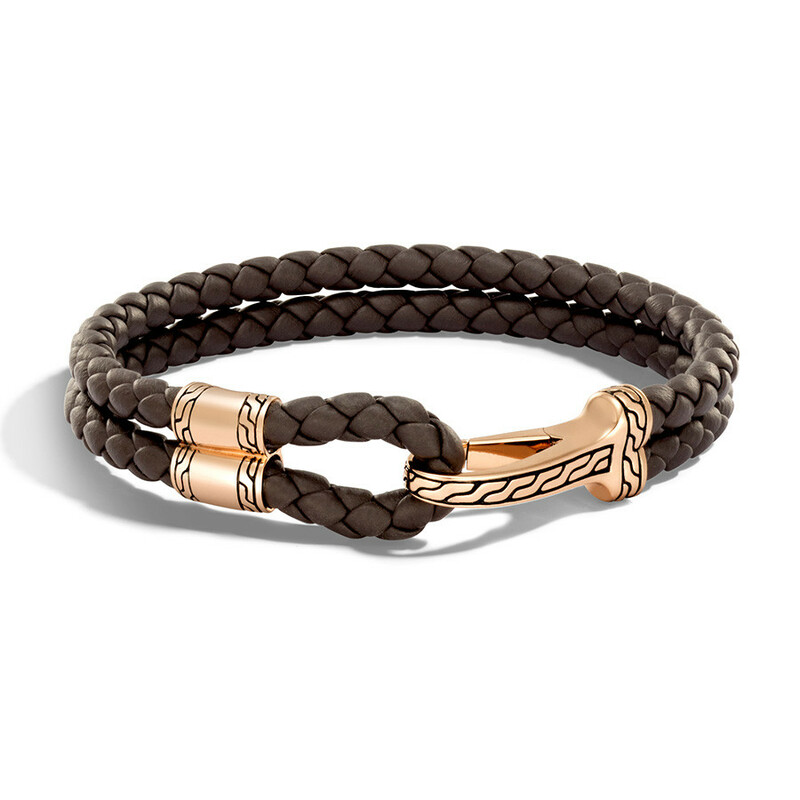 You’ll be proud to wear this John Hardy bronze and brown leather hook clasp bracelet from the Classic Chain collection. 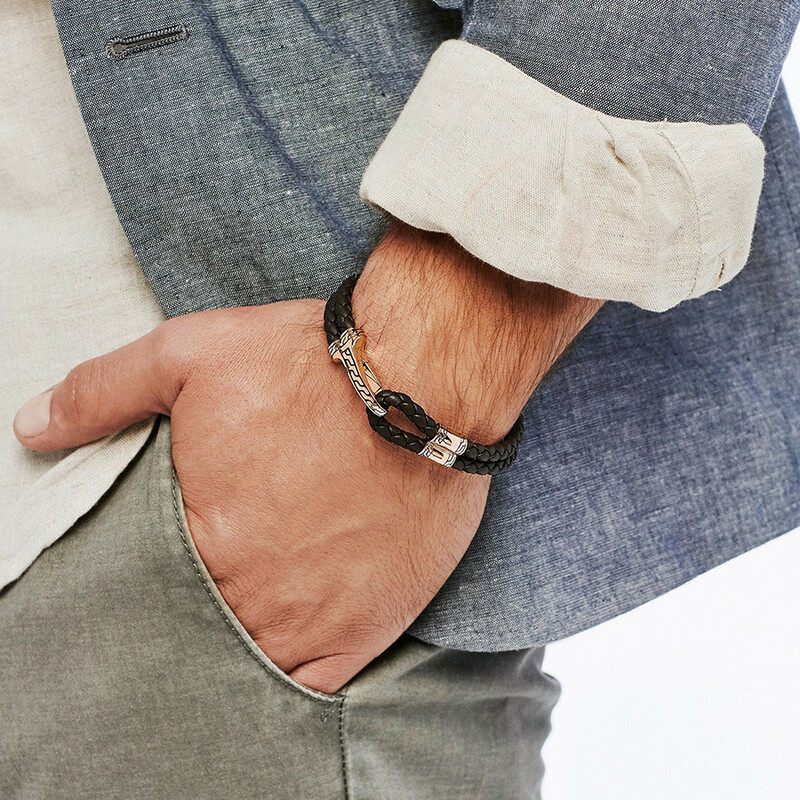 The hand-woven brown leather is artfully styled to create the impression of a two strand piece. But, look closely, and you can see it’s a single strand crafted with bronze accents.